Roger Federer "broke down" in tears over Peter Carter during TV interview. 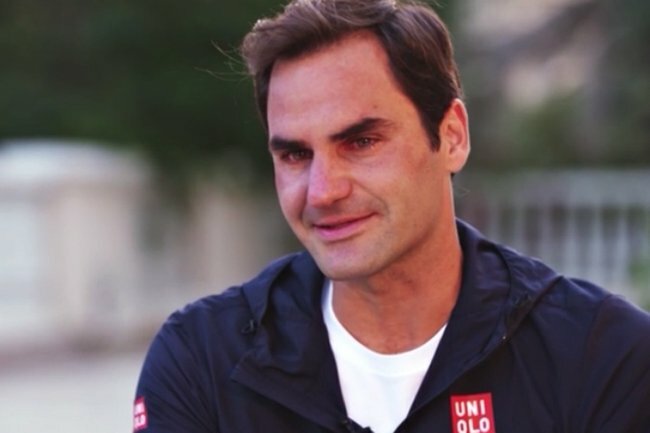 "Never broke down like this": The question that brought Roger Federer to tears. In a sport that’s bred its fare share of temperamental characters, tennis legend Roger Federer is famously cool. While others make headlines for their on-court outbursts, his displays emotion are of a different kind; a flood of tears after his first grand slam win at Wimbledon in 2003, another after his 2009 Australian Open victory. And now, for the first time during a television interview, while remembering former coach, mentor and friend Peter Carter. 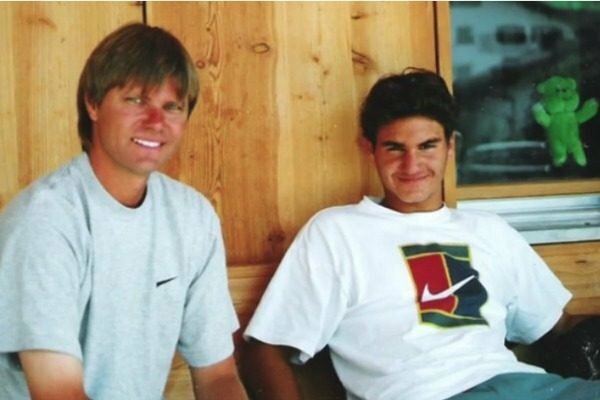 It was the Australian who discovered Federer in Basel, Switzerland, but tragically he never saw the prodigy’s success on the world stage. Carter, 37, died in a car accident while on his honeymoon in South Africa in 2002, just months shy of Federer’s first Wimbledon win. Speaking to CNN ahead of the impending Australian Open, Federer was asked what Carter would think of seeing his protégé with a record-breaking 20 grand slams under his belt. Fededer and Carter. Image: CNN. The question brought the father-of-four undone. Swallowing tears, he replied, "Sorry... I hope he would be proud. He didn&apos;t want me to be a wasted talent. I guess it was somewhat of a wake-up call for me when he passed away. I really started to train hard." "Oh, man, I still miss him so much. I hope he would be proud," he added, according to the network. "Geez, never broke down like this." Roger Federer&apos;s inspirational former coach died in a car crash on his honeymoon in 2002. Federer learned of Carter&apos;s death during a tournament in Toronto, and according to The Australian, when he was told the news, "he left his hotel and ran through the streets, bawling and hysterical." "I can never thank him enough for everything he gave me," he told the newspaper. "He wasn&apos;t my first coach, but he was my real coach. He knew me and my game and he always knew what was good for me." In honour of Carter, Federer each year pays for the late coach&apos;s parents to travel from Adelaide to Melbourne and sit in the player&apos;s box as he competes in the Australian Open, which this year begins on January 14. "Peter was really a really important person in my life," he told CNN, "because I think if I can say thank you for my technique today, it&apos;s to Peter."